Chairman of Financial services firm Convoy Global Holdings Quincy Wong Lee-man was arrested Saturday local media reported. According to the South China Morning Post, he was arrested at the airport when he returned from a holiday. Two other executives vice-chairman Rosetta Fong Sut-sam and executive director Christie Chan Lai-yee were arrested Thursday in a joint operation by the ICAC and the Securities and Futures Commission (SFC) reported RTHK. The firms are under suspicion of corruption. Meanwhile, Convoy announced the appointment of six new Directors Sunday. The appointments include veteran accountant Johnny Chen as interim chairman and five executive directors. Chen is a senior advisor at LionRock Capital. He was formerly China chairman of Zurich Insurance, and before that, he was managing partner of accounting firm PwC’s Beijing office. 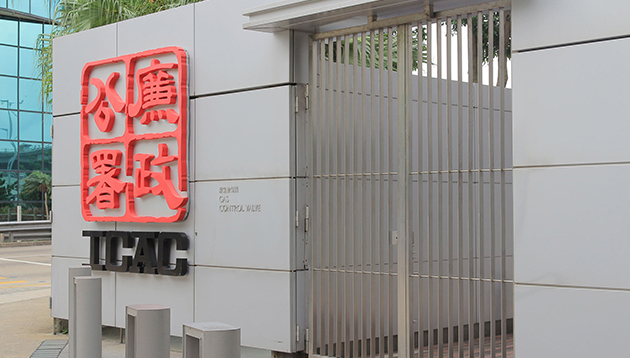 ICAC said in a statement that it and the market regulator, the SFC, had searched eight premises in a joint operation and had arrested three senior executives of a listed company for suspected corruption on Thursday but didn’t give specifics. Trading was halted for the financial services firm after Convoy confirmed senior executives had been arrested and their duties suspended. The share prices dropped 7.2% following the announcement. One of the arrests Thursday included former Chief Executive Officer of Convoy Mark Mak Kwong-yiu who is the current chairman of Lerado Financial Group. In June the SFC ordered Lerado to suspend trading after the firm allegedly gave misleading information in a 2015 announcement. In a stock exchange filing on Thursday, Lerado said it had been invited to assist an ICAC investigation. “The company is cooperating with ICAC in providing documents and records,” said executive director Kenneth Lai Kin-chung in the filing. The Standard reported the operation involved 50 officers, a dozen people including the company’s executives were driven to the anti-graft agency’s headquarters for investigation. Headline Daily said that some employees were suspected of using the Hong Kong-based company to solicit an advantage of about HK$47 million between March and June 2015. Deputy chairwoman and executive director of financial advisers, Rosetta Fong Sut Sam is believed to have cooperated with the ICAC probe. Fong was escorted from her Sai Kung home by anti-graft officers to the ICAC offices in North Point. Officers also searched her home and removed some documents according to the Standard report. The South China Morning Post reported that the SFC has in recent weeks taken action against companies connected to Convoy and Cho Kwai Chee, an executive director of Convoy as well as a well known local investor nicknamed “Doctor Cho” because he is a medical doctor. Convoy Global is a financial adviser to Hong Kong’s Mandatory Provident Fund pension scheme and a provider of retirement planning and insurance services. They are also the biggest shareholder of First Credit Finance Group. In late November, the SFC directed the Stock Exchange to suspend all dealings in the shares of First Credit Finance Group too. In May, Convoy Global had been identified by shareholder activist David Webb as one of “50 stocks not to own,” for undisclosed holdings in companies. Local media reported that in an internal message, the group’s president Ng Wing Fai said the people in suspected connection with the case have been suspended from duty and employees were reassured that the company is in good financial health, the company would be cooperating with the investigation, and that business will continue as usual. "It's inevitable that we will set up an office somewhere in the region in the not-too-distant future," says Glassdoor COO Christia..
What are you really losing when employees walk out the door?.. Two thirds of Singapore organisations are not using talent analytics to create a more strategic workforce, falling behind other co.. Your weekly update on job movements in HR - featuring changes from CITIC Capital, Hang Seng Bank, Hitachi Data Systems, and more. ..